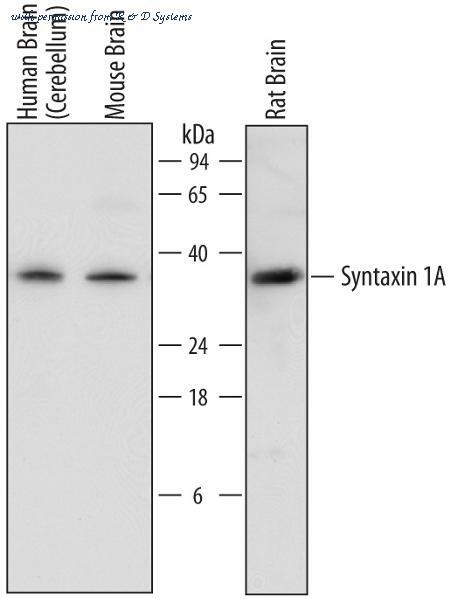 Detection of Goat IgG Primary Antibody by Western Blot Western blot shows detection of Goat Anti-Human/Mouse/Rat Syntaxin 1A Polyclonal Antibody (Catalog # AF7237 ) using a 1:1000 dilution of HRP-conjugated Anti-Goat IgG Secondary Antibody (Catalog # HAF017). This experiment was conducted under reducing conditions and using Immunoblot Buffer Group 1 . Detection of Goat IgG Primary Antibody by Western Blot Western blot shows detection of Goat Anti-Human/Mouse/Rat GRP75/HSPA9B Polyclonal Antibody (Catalog # AF3584 ) using a 1:1000 dilution of HRP-conjugated Anti-Goat IgG Secondary Antibody (Catalog # HAF109). This experiment was conducted under reducing conditions and using Immunoblot Buffer Group 2 . 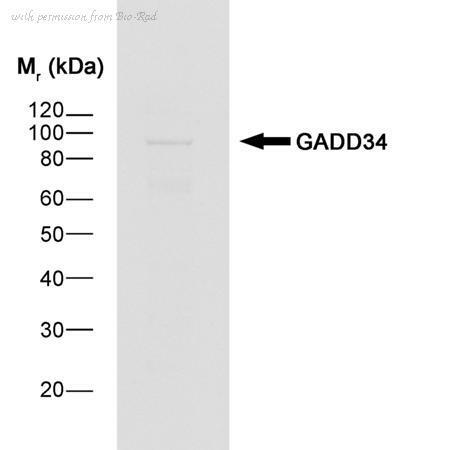 Detection of Goat IgG Primary Antibody by Western Blot. 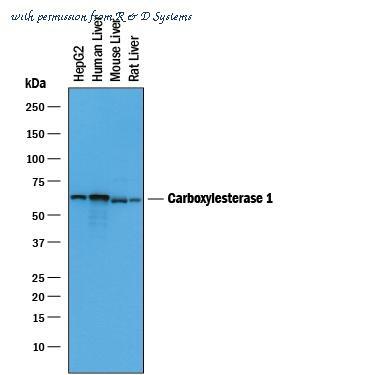 Western blot shows detection of Goat Anti-Human/Mouse/Rat Carboxylesterase 1/CES1 Polyclonal Antibody (Catalog # AF4920 ) using a 1:1000 dilution of HRP-conjugated Anti-Goat IgG Secondary Antibody (Catalog # HAF019). This experiment was conducted under reducing conditions and using Immunoblot Buffer Group 1 .